Explore the hidden valley of Naar and Phu Village, trekking along the off the beaten track crossing through challenging high passes of Kang La and Thorung La. A fantastic journey through wild and unexplored area is in the north of Annapurna Himal range. Nar Phu Valley is after two villages Naar and Phu. This trek is perfect for travelers who want to discover unspoiled area, its people and culture with combination of Annapurna circuit, one of the most popular trekking trails in Nepal. A rough and wild trek, this trek takes you to the exotic Naar Phu valley that lies in the remote corner of the Annapurna region. Opened to visitors only in the year 2003, the Naar Phu valley remains untouched by modernity. 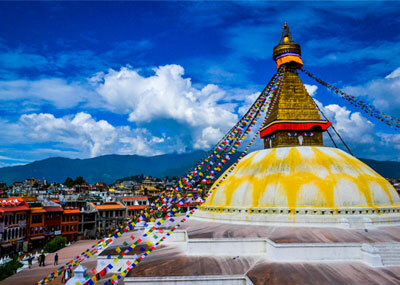 The inhabitants, who roughly comprises of about 350 Nepalese Tibetans, have retained their age old practices. Most of them are engaged in yak herding and farming. This trek also offers fantastic views of the Annapurna massif, Lamjung Himal, Machhapuchhre Himal, Manaslu Himal, Dhawalagiri range and Tilicho peak. As the trekking route is frequented by few trekkers, you can look ahead for a 'just the mountains, nature. Day 02: Kathmandu - Sight seeing. Day 03: Kathmandu - Bulbule - Ngadi. Day 04: Ngadi - Jagat. Day 05: Jagat - Tal. Day 06: Tal - Koto. Day 07: Koto - Dharmashala. Day 08: Dharmashala - Kayang. Day 09: Kayang - Free day. Day 11: Phu - Free day for Exploration. Day 12: Phu - Junam Goth. Day 14: Naar - Free day for Exploration. Day 15: Naar - Kang La Phedi. Day 18: Manang - Free Day. Day 20: Yak Kharka - Thorung Phedi. Day 21: Thorung Phedi - Thorung La - Muktinath. Day 23: Jomsom - Pokhara by flight. Day 24: POkhara - Sight seeing. Day 25: Pokhara - Kathmandu. Transport by car during the sightseeing in Kathmandu. Accommodation in Standard Hotel, Kathmandu on B. B. plan. Accommodation in Standard Hotel, Pokhara on B. B. plan. Transportation by bus Kathmandu - Bulbule // Pokhara - Kathmandu. Accommodation in camping during trekking. Trekking staffs: cook, sherpas, kitchen helpers and porters. Camping equipments: two men tents, dinning tents, toilet tents, kitchen tents, mattress, down jacket, down sleeping bags. Flight ticket Jomsom - Pokhara.